Three weeks ago we went to the interior biennale in Kortrijk for interior inspiration and to look and feel some products in real life. The Biennale Interieur Kortrijk is a leading international design biennial for contemporary design in the Belgian city of Kortrijk. 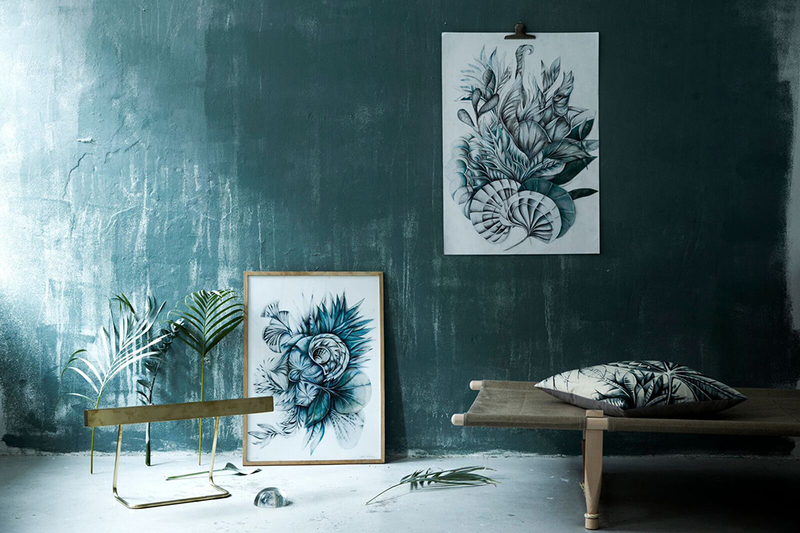 The fair is organized every two years in the month of October by the Biennale Interieur association and always takes place in the exhibition complex Kortrijk Xpo. During this biennial designers and manufacturers show their new products both to the professionals as to the general public. Patterns & Colors is a process that Dimitri Bähler developed during a residency at EKWC, the European Centre for Ceramic in Den Bosch, The Netherlands. These series are produced thanks to a kind of embossing technique, involving a patterned latex foil (the slab) that is pressed on clay between a positive and negative mould. 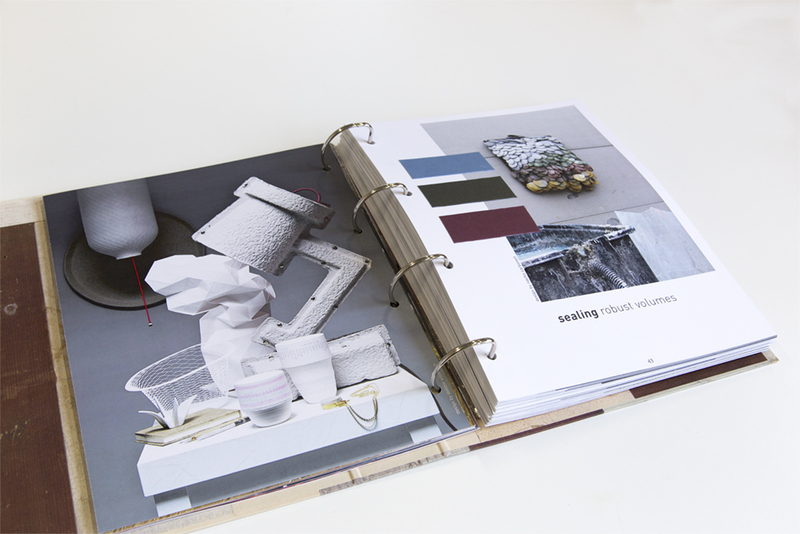 As a result, many different patterns and volumes can be created with the minimal amount of moulds. A lunch box and food container in one, and ‘a symbol for a product with a pure soul in a world with high-technology products, of which origin, production and use are often unclear’. Made of ash wood, and free of chemical addititives and plasticisers, the deli box weighs no more than one made of stainless steel. Produced industrially, each piece looks unique because of the different wood structures. Bag on Wall is a mural leather storage piece that once hung on the wall recalls the beauty and nobility of our everyday’s personal traveling partner. The project results of a collaboration between designer Mathias van de Walle and leather craftsman Ralph Baggaley in the frame of the Beglian Matters, an exhibition curated by DAMn° magazine for the Design Week in Milan, Italy. 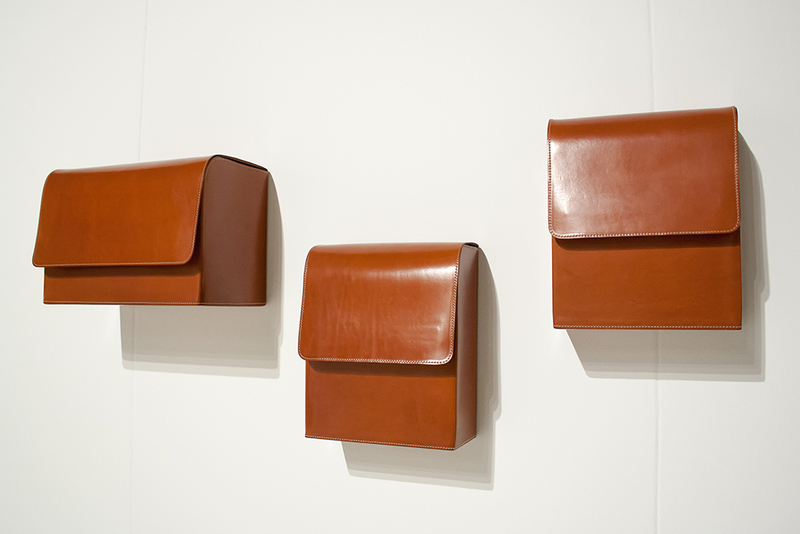 Bag on Wall is made out of vegetable-tanned leather combined with solid oak stucture. Mathias van de Walle plays with geometric shapes and the way these are interpreted and required within a certain space. His designs are playful yet functional, modular and flexible allowing them to adapt to a client’s specific objective. 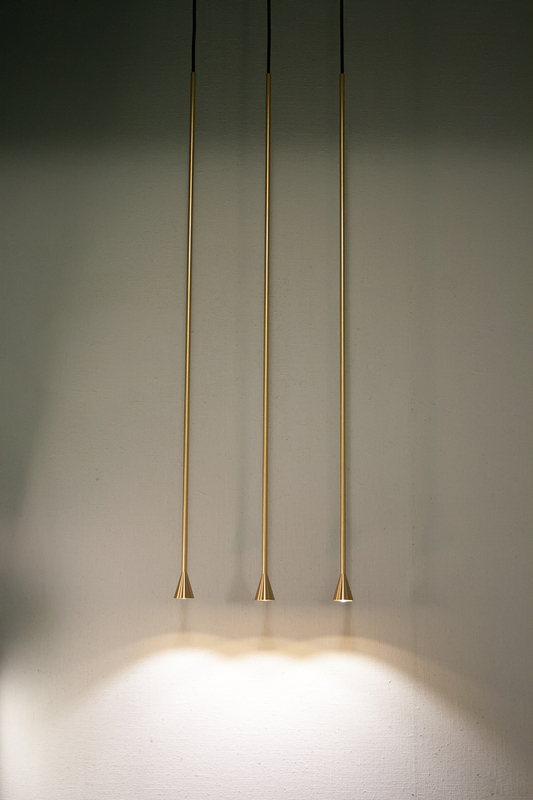 Trizo21, is a Belgian Company, that designs and manufactures contemporary lighting fixtures of the highest quality that can be used for a large variety of lighting purposes, going from private home applications, over commercial surfaces and hotels up to complete business centers. All products are fully designed and assembled internally. Next to being original, special attention is given to technical perfection, quality of the material and the finishing touch. Suppliers/partners are chosen for their quality craftsmanship and flexibility. As an example, products are made of solid aluminum, which results in seamless fixtures for any interior and exterior application. 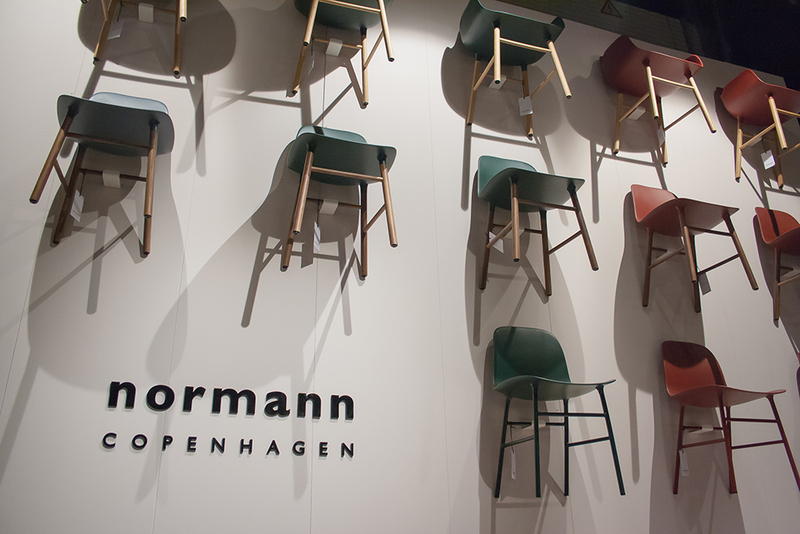 Normann Copenhagen is a Danish design company with the mission to create original, bold and eye-catching products in a simple and contemporary design that withstands the test of time. Or in other words, to challenge conventional thinking and make the ordinary extraordinary through great and innovative design. Experience Ace lounge collection designed by Hans Hornemann. We love their collection because of the beautiful shapes & colors. Designed by young Berlin-based designer Jörg Höltje, the LINK-shelf is display and storage stripped down to the essentials. Its steel and massive-wood construction forms an engaging interplay with many potential compositions: asymmetrical, high-reaching, or laid out lengthwise, the LINK-shelf is designed to work perfectly for your individual environment. 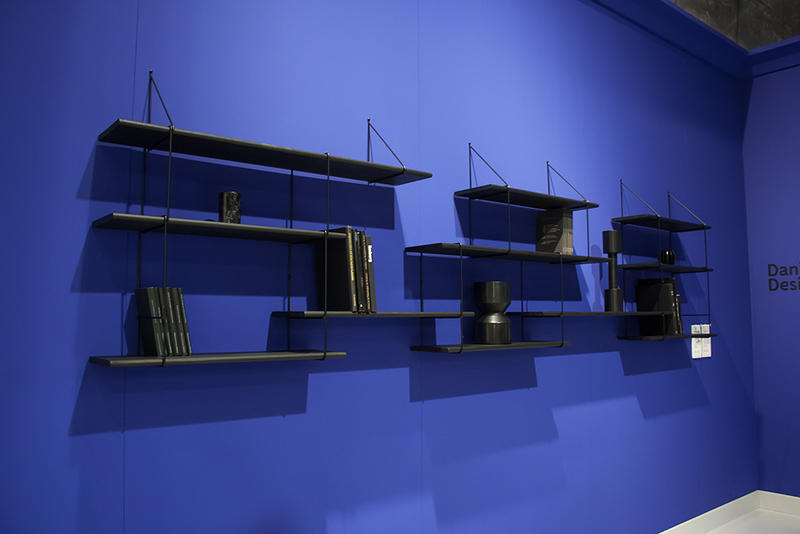 The LINK shelving system lets you get back to the basic pleasure of creating your space. 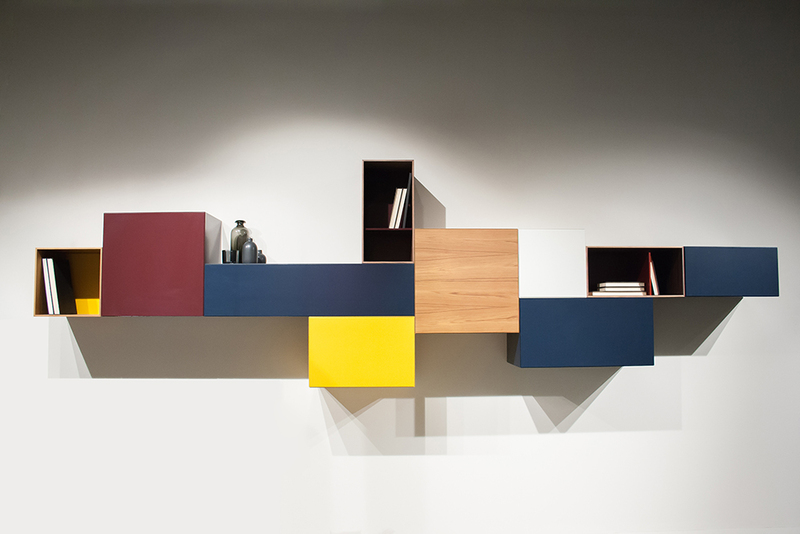 Vision was designed from the philosophy that a cabinet composition should be part of the total room architecture. The basis of Vision is a single cube without handles, completely mitred, and in different depths, heights and widths. Fronts close using a push-touch system. 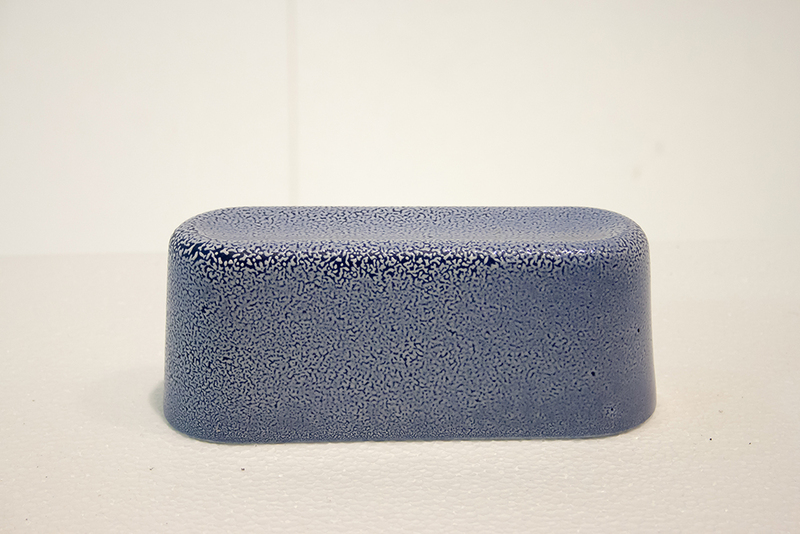 A single form yields endless variations of volume, colour and line composition. The possibilities for compositions are unlimited; from a three-dimensional relief to a graphic grid of line and flat planes, from a series of sideboards to an architectonic landscape of volumes, from wall-mounted object to wall component. 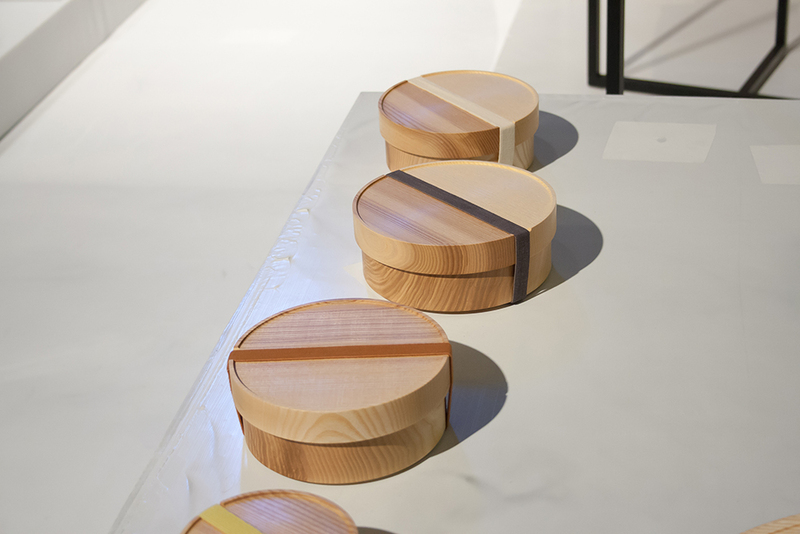 In Kortrijk Pastoe launched 5 new colors and 3 new types of wood of this well known design. 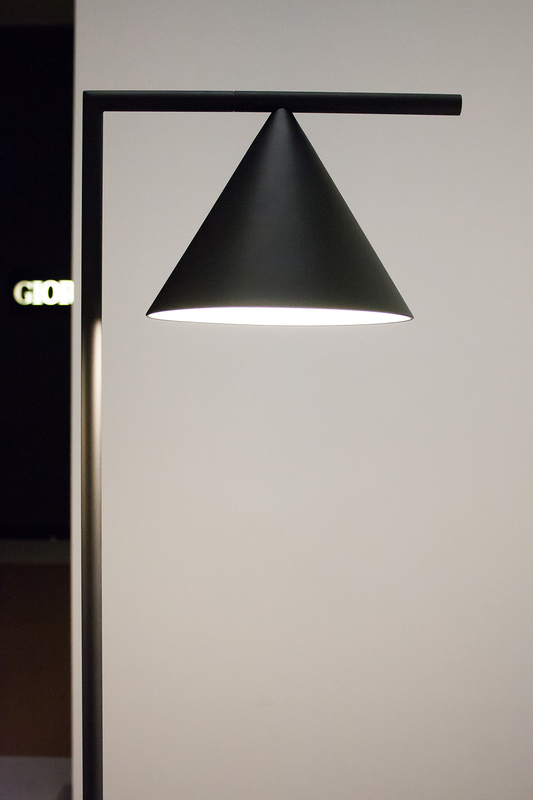 Parts of the text from Interieur, Dimitri Bähler, Flos, Mathias van de Walle, Luxoworks, Pastoe and Studio Hausen.